It’s been over ten years since I last visited Singapore, in 2005. 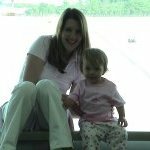 That visit was accompanying my hubby on business, with our first born daughter (at 19 months of age). 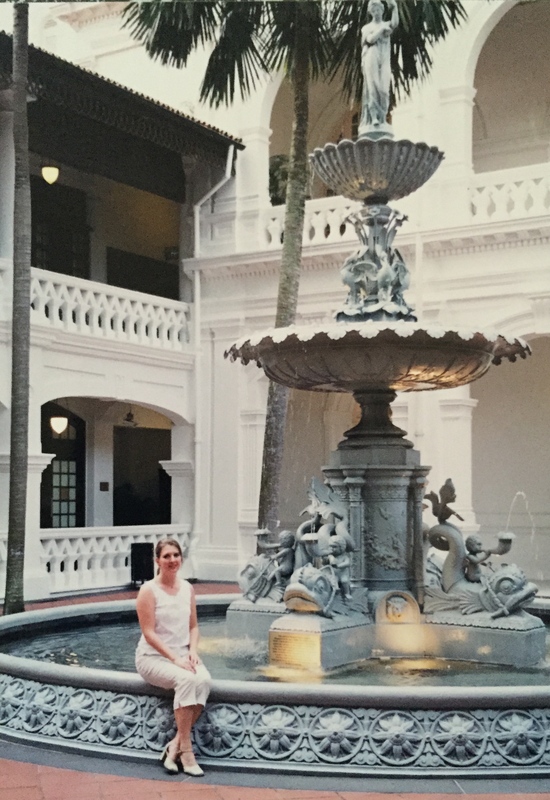 I’d also travelled before children, back in 2002 (which was an entirely different experience!). I remember the cathedrals of consumer heaven very well – and of course the ‘Mecca’ of them all – Orchard Road. A whole day is definitely needed to explore the 2.5km stretch. Multi-level shopping malls, selling designer goods from around the world, sit majestically where a dirt road in the 1840s used to be; lined with orchards, nutmeg plantations, burial grounds and the occasional home. All the major hotels are located along Orchard Road too, such as The Hilton, the Singapore Marriott, the Grand Hyatt, the Mandarin Singapore and Le Meridien. With numerous nightspots, bars, lounges, pub, cafes, movie theatres and restaurants, it is a prosperous symbol of Singapore’s economic power. I doubt the children will be very interesting in shopping, but the cinemas will be a draw-card. The architecture of the modern malls is quite entrancing too. In the centre of Orchard Road, the temple-like, marble clad, form of Ngee Ann City towers to the sky. But Singapore is about so much more than shopping. 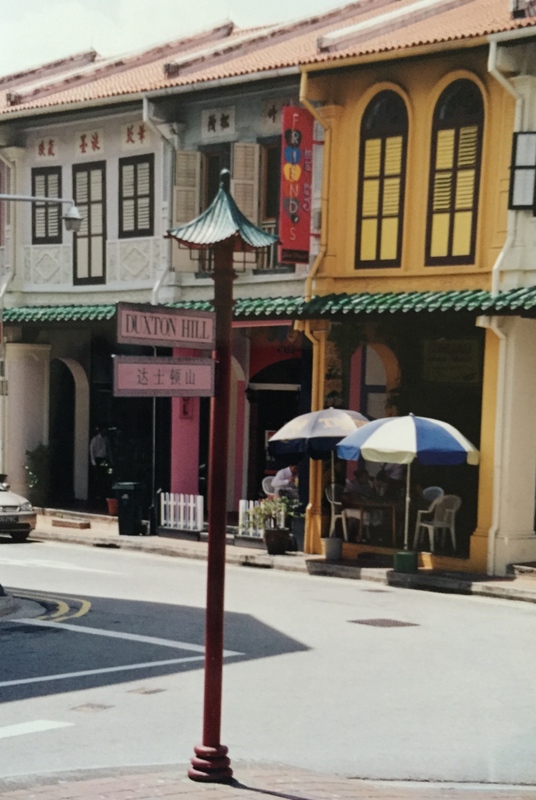 Within a country the size of Lake Taupo (in the centre of New Zealand – at 646 sq km’s) there lives a vast blend of cultures and architecture; China Town, Little India, Malaysian influences and that of the European settlers in the colonial days (Raffles instantly springs to mind… along with a Singapore Sling!). 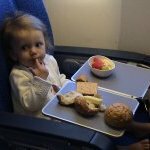 Singapore is so easy to travel around, with a well supported public transport system, combined with the prohibitively high cost of travelling by private transport, ensuring reasonable free flowing traffic in and around the city. Road traffic consists largely of taxis, buses, industrial vehicles and the occasional large and sparkling, private car (well, if you can afford to drive in Singapore there’s no point in doing it half-heartedly!). When I was last there I travelled extensively on the ‘MRT’ – Singapore’s underground train system. A transit-link fare card gave me freedom to hop on and off any train or bus that took my choosing. 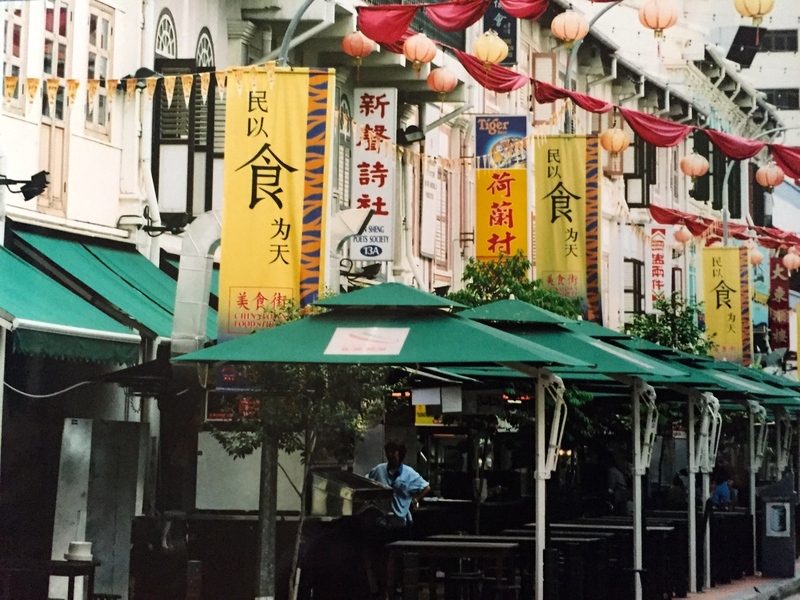 My first stop, back in 2002, sans children, was Raffles Place, to explore Chinatown. Chinatown opens the senses with wonderful smells of food, the aroma of incense sticks and beautiful scenes of traditional architecture and elaborate temples. It lies next to Singapore’s Financial District, but they present two very different pictures. In contrast to Chinatown’s retention of the atmosphere of old Singapore, the skyscrapers of Raffles Place, and the rest of the Financial District, symbolise everything new and dynamic about the modern nation. However, the division between the two areas is not clear-cut. Old and new intimately blend. One moment your thoughts can be carried back to times long ago, as you take in the scent of coiled incense hanging above your head in an elaborate temple, and the next – you see a towering skyscraper dominating the skyline to bring you right back to the modern day. 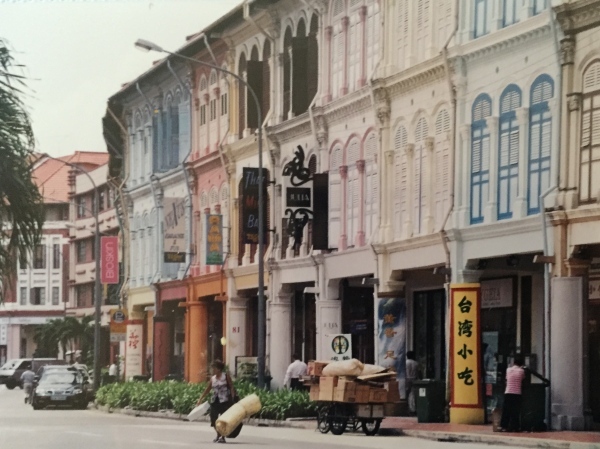 The heart of Chinatown is a colourful cluster of narrow streets running off South Bridge Road. Once a densely packed area of shops, coolie lodging-houses, coffee houses and opium dens, the area has now been carefully restored. It is home to antique shops, bars, restaurants and plenty of traditional colour with beautifully fashioned fabrics, glittering jewellery, temple paraphernalia and curious Chinese health shops. The shuttered buildings, painted in a rainbow of colours, with terracotta-tiled roofs, are in stark contrast to the high-rise neighbours encircling them from above. From Chinatown to the Financial District I remember feeling thrust back into the modern world – along with refreshing availability of a cool beer (even if it was costly!). 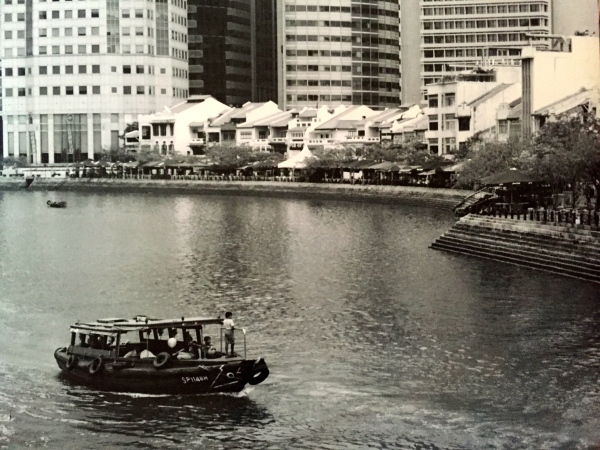 Boat Quay, home to Singapore’s elite workers. 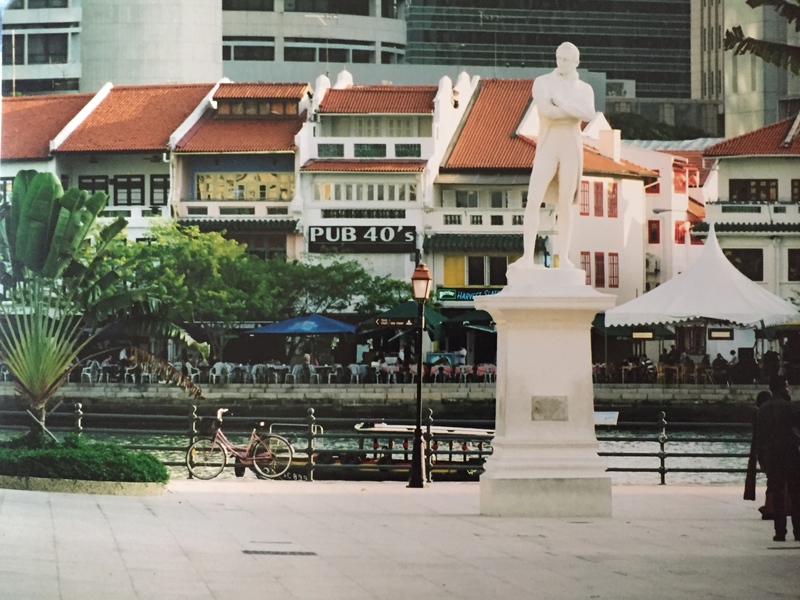 Situated along Singapore River, with views of Parliament House and colonial grandeur on the opposite bank, Boat Quay offers an eclectic choice of cuisines and outdoor dining. The two to three level white washed buildings, with their terracotta roofs, stand in charming defiance to the skyscrapers lining the horizon behind. There are bars and restaurants to suit every taste – from an authentic London styled Victorian pub and Irish jolly, to the exotic spices of India and China. However, Boat Quay is costly, and it was for that reason that, back in 2002, I ventured onto the ‘Satay Club’ at Clarke Quay (we will be staying in an apartment in the Clarke Quay area on this holiday). I remember stepping onto a ‘Bumboat’ to enjoy the cool breeze, as I cruised along the Singapore River from Boat Quay to Clarke Quay. Traditionally the bumboats used to jostle for position at the quay, ferrying goods from the harbour to the warehouses, now-a-days they make for another mode of transport. Alighting from the bumboat I was greeted by a festive atmosphere of music filling the still air and fairy lights, dancing with a welcome glow from the bars lining the quay. Featuring blocks of restored warehouses, Clarke Quay is home to hip entertainment, dining outlets and shops of all kinds. The streets are lined with craft stalls and satay delights. The area caught the eye of developers in the 1990s, prior to that it used to be a strip of dilapidated 19th century warehouses run by predominantly Chinese traders. I am very much looking forward to seeing how much more it has changed in the past decade. Another area I am looking forward to revisiting is the Colonial Core (though I doubt the children will share my passion). In 2002, I travelled on the MRT to emerge in daylight, as though I had travelled through time. 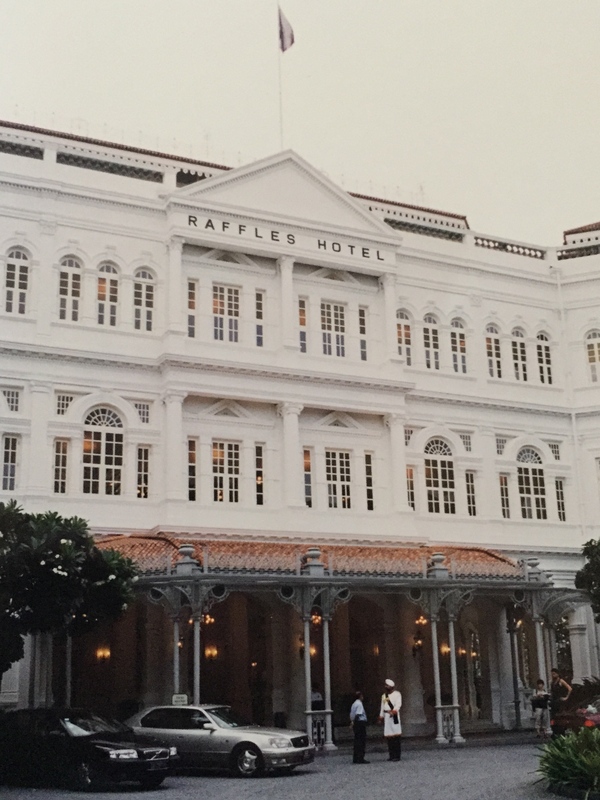 In Raffles I found myself in an oasis of tranquility. My thoughts drifted back to the days when gracefully dressed ladies and gentlemen would accommodate Singapore, a peaceful island of elegance amidst the heat and bustle of Southeast Asia. The courtyards, gardens and covered walkways created a lingering feeling of calm and peace. Of course I had to sample a Singapore Sling, in the cool comfort of ‘The Long Bar’, darkly lit with elegant shutters and wooden beams setting the backdrop, wicker arm chairs and tables inviting me to linger, and heart shaped fans on the ceiling providing cool relief from the heat. After a refreshing cool down I vividly remember stepping back out into the heat. I’m told it takes two weeks for the body to adjust (and two weeks was all the time I had!). It was an exhausting, humid heat (which is why I know we will have to pace our exploring with the children). I strolled to Fort Canning Park. 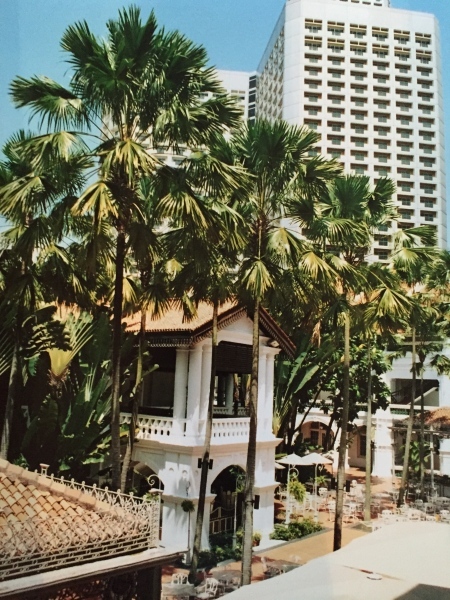 The park was the seat of the Malay Kingdom of Temasek back in the 14th century. It was also the first Christian cemetery on the island. The grand Fort Canning Centre was built as a British army barracks in 1926. After a spell as an office block, it was restored and converted to a gallery and performance space. From Fort Canning Park I walked to Chijmes. Today Chijmes consists of bars and shops, akin to Covent Gardens in London, but in yesteryear it was the Convent of the Holy Infant Jesus. 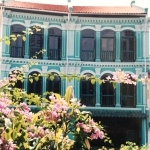 The sisters of the convent, which was founded in 1854, ran a woman’s refuge, orphanage and well-respected school until 1983 when the convent was relocated. The architecture is enchanting, with the facade an elegant white and the centrepiece a magnificent five-floor-high spire capping the chapel. 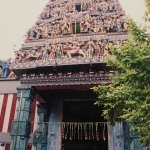 The walkways, of which there are 648, are beautifully decorated with carvings of tropical plants and animals. The atmosphere, by day, is peaceful – but at night the laughter and conversation winds its way up amongst the walkways to the night sky. Heading back toward the Singapore River I enjoyed a leisurely walk around the Padang – a rectangular playing field where sporting activities take place. 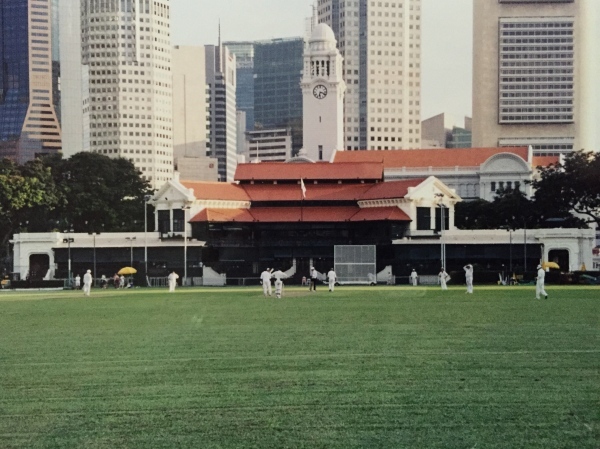 The Padang is surrounded by Old Parliament House, the Supreme Court, City Hall, the Victoria Theatre and Concert Hall and Singapore Cricket Club – all most impressive buildings of grandeur in Victorian styled architecture. Reaching the river I crossed at Cavenagh Bridge (Singapore’s only suspension bridge). But, before doing so, paid my respects to the founder of Singapore – as a trading post – by Sir Stamford Raffles (the East India Company), who in 1819 signed an agreement with the Sultan of Johor giving the British the right to establish a trading post on the island, proclaiming it a free port. And so it was that modern Singapore was born. Despite Singapore’s high-density population it is surprisingly ‘green’ in appearance with many parks and gardens to find relaxation. The Singapore Botanic Gardens are a beautiful oasis of nature, located practically on the doorstep of Orchard Road’s shopping hub. 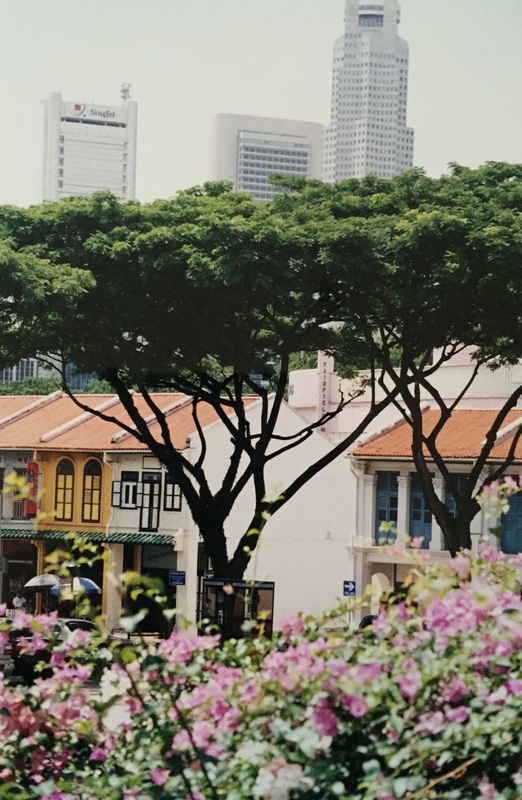 There are many other opportunities to get close to nature in Singapore at places such as the wonderfully open-plan style Singapore Zoological Gardens, the Jurong Bird Park, the Bukit Tamah Nature Reserve, Mandai Orchid Garden, Japanese and Chinese Gardens. Since I last visited there has been the addition of the amazing ‘Gardens by the Bay‘. 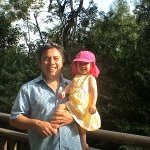 And as well as travelling by bus, train, MRT and bumboat, there’s also a cable-car, from the heights of Mount Faber to Singapore’s recreational playground – Sentosa Island (where I imagine our three daughters will have high on the list of ‘must do’ activities!). 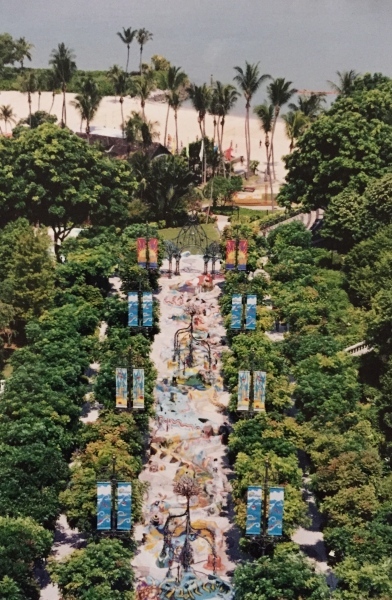 Sentosa Island provides an amazing array of attractions from ‘Dolphin Island‘ and ‘Universal Studios‘ to a butterfly & insect park and the world’s largest aquarium. We will definitely be visiting the ‘Adventure Cove Waterpark’ and spectacular ‘Lake of Dreams‘. The island of Sentosa has quite an interesting history – being transformed from a fishing village to military base and now an island of entertainment. There are a number of historical exhibits, which I delved into on my visit in 2002, prior to children! The British used the island as a military base until 1967. Fort Siloso – the last bastion of the British during World War II, was built in the 1880s, and is an intriguing complex of bunkers, cannons and underground passageways. 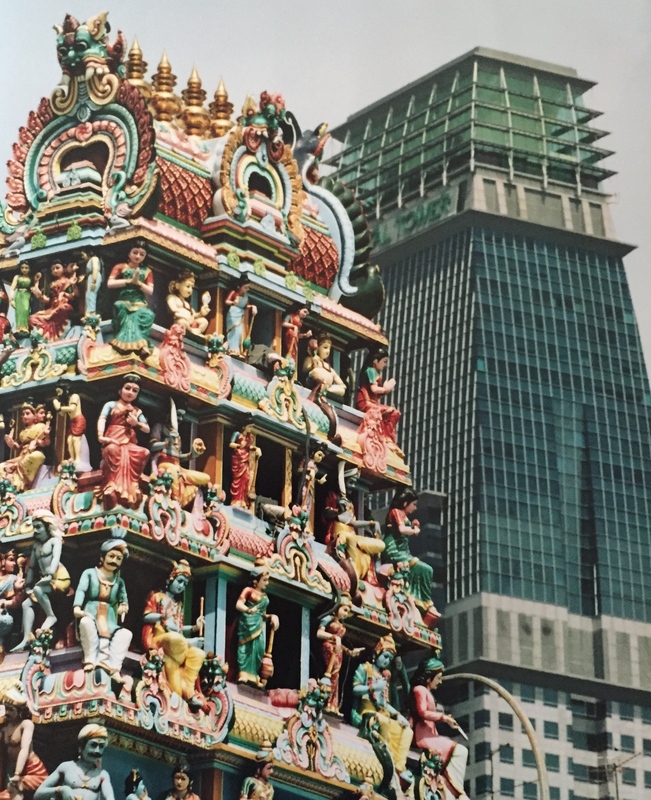 I visited the ‘Images of Singapore‘ – a marvellous trip though time to learn more about Singapore through the ages. I can’t wait to revisit this now, over a decade on, and see how it has developed. I remember a vivid and colourful section of this exhibit, the ‘Festivals of Singapore’, which brought to life the traditions and festivals of the main ethnic groups in Singapore, including Chinese, Indian and Peranakans (also known as Straits-born Chinese – who descended from the early Chinese traders who settled in the Straits Settlements of Malaya and Indonesia, from the 16th century, and intermarried with the local Malay and Indian women). I loved this walkway of colour too – reminding me of the architectural wonders of Gaudi in Barcelona. 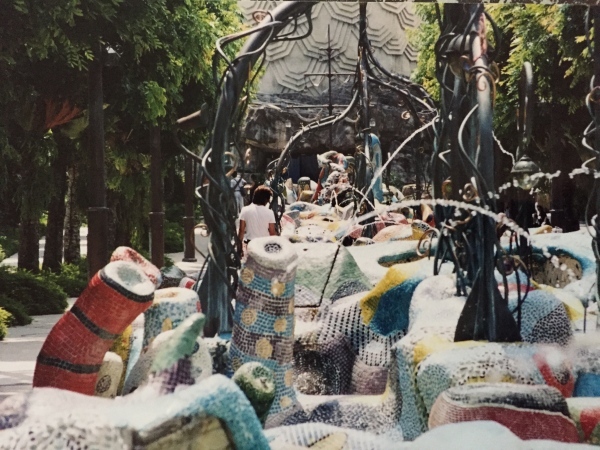 A walkway to the beach, of mosaic brilliance, twisted metal and water fountains. The ‘Spirit of Singapore’ Boat Ride looks like an amazing new attraction to take the family on! I can’t wait! I’m just hoping that we can pace ourselves in the heat! 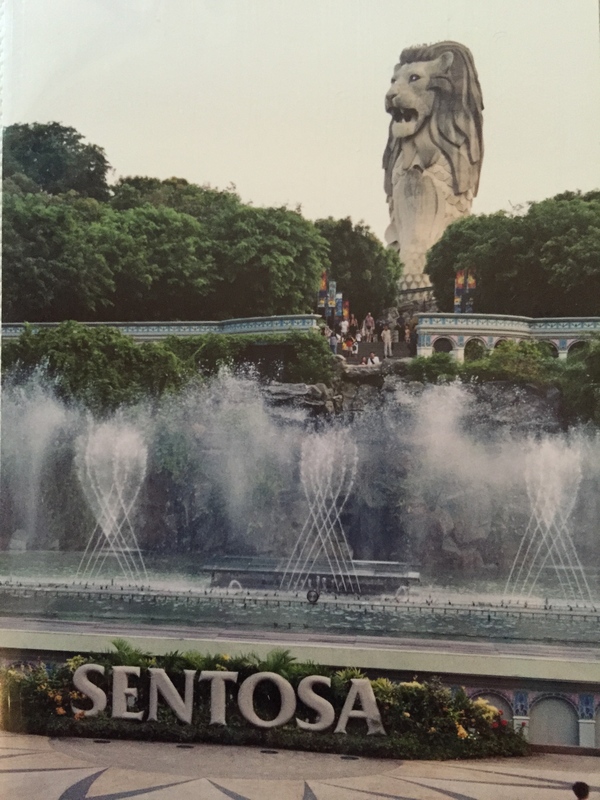 There is just so much to see and do, as detailed in this ‘100 Best Things to do in Singapore‘ by Jen Reviews. 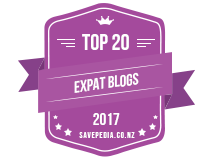 Adventures, Blasts from the past, Holidays Blasts from the past, Holidays, Singapore, travelling. permalink.